We have an abundance of data around us, but most business marketers aren’t able to make the most of it. When they can actually personalize the campaigns down to an individual, most of them restrict themselves to only segmenting their audience, creating a few versions of the campaigns and using their names in emails while addressing them. Despite 94% of companies saying that personalization is now critical for success, there are 5% of them who personalize their campaigns extensively. The reason being, an inability to personalize their campaigns. While you might already know who your target audience is, what they are looking for in general and what you have to offer to them, it is important to understand that they might all have different end goals. This makes it important to further segment your target audience into meaningful persona with characteristic traits defined for each. A case study by Whereoware stated that NetProspex was able to increase its ROI (Return On Investment) by using and clubbing relevant data to create personalized marketing campaigns. Using the multitude of data available to you, group together the customers who have similar objectives and online behavior, apart from the general demographics. Creating a customer persona helps you create a personalized series of emails that are targeted at converting that one particular segment from your target audience. A targeted approach will also help you measure, analyze and optimize your efforts more effectively. 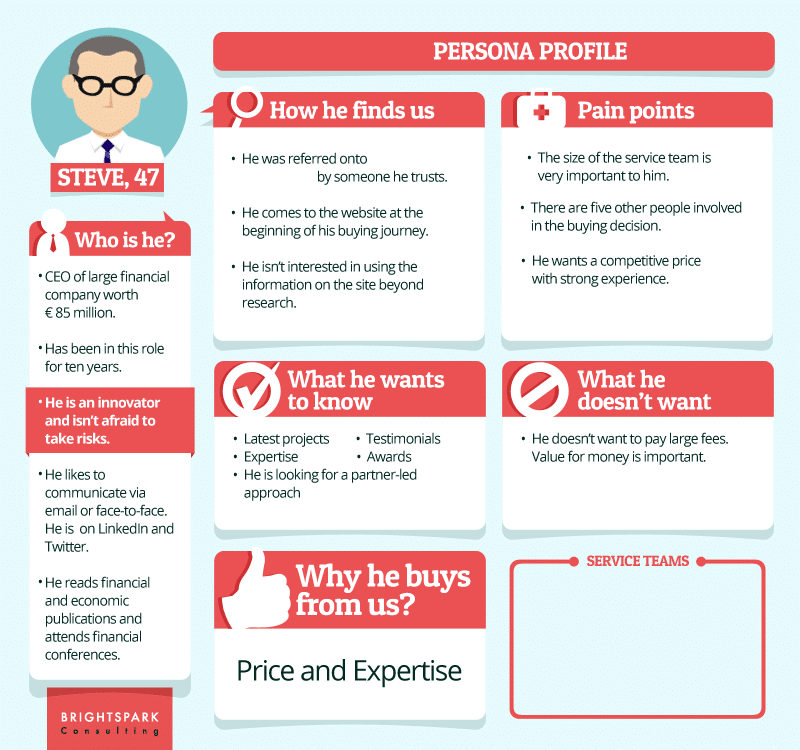 Alternatively, here’s a free customer persona template from HubSpot that you can make use of. Why they had visited your website? What kind of solutions are they looking for? What are their sales and social triggers? This data can help you craft extremely personalized emails for your campaigns. This personalization tactic basically aims at striking a conversation with the target customer. For example, Paper Style personalized its email to understand why people were joining their website. This resulted in increasing their open rates by 244% and click-through rates by 161%. Like every other digital communication channel, emails to perform better at certain times. While some customers might prefer reading all emails before their day begins – early morning, there could be those who prefer receiving them in the evening so that they have enough time to go through them. It is also a fact that not all your target audience is in the same time-zone. Hence, a smart thing to do would be to take into consideration their location as well while segmenting them into lists. This will help you create location-specific email campaigns for your audience. An import thing to keep in mind is no matter how segmented or personalized your campaign is to reach out to the audience at the ‘right time’, it should be consistently monitored, analyzed and optimized. A/B testing plays a vital role in optimizing email campaigns for better results. Another way to personalize your email campaigns is to make them behavior triggered. These are real-time emails that are sent out based on how the customers are interacting with your business or using your product/service. Triggered emails can not just be easily personalized, but also automated. They can be sent to customers based on multiple objectives or actions – up-sell, cross-sell, welcome, re-engage, etc. For example, when a customer signs up for your product, a welcome email with basic instructions on what he could do next will not just deliver a personalized experience, but also ensure he is headed in the right direction. Another example would be that of an app sending you a reminder to check what’s new on it in case the user hasn’t used the app for a set number of days. Here’s how RunKeeper reaches out to its users to motivate them as well as get them to log back into the app. Personalization doesn’t need to be based on your customer data always. You could alternatively personalize the way you communicate with them. This tactic smoothens the edges of interaction between big business and an end customer. In simpler words, people like talking to people instead of brand names and this tactic must definitely be A/B tested on your campaigns. For example, HubSpot tested their email campaign signatures while communicating with their customers. They ran campaigns signing off with ‘HubSpot’ and another using team member names. The latter approach increased their click-through rates from 0.73% to 0.96% and generated 292 more clicks. This A/B test only concluded that customers have a more positive reaction to personal business. If you want to take the results of your personalized email campaigns to another level, create custom landing pages to match the context. The email and landing page copy shouldn’t just have a consistent look and copy, but also the same personalized call-to-action for the customer. This tactic ensures that the customer is offered a unified experience, which makes them more likely to convert. Since the content offered to them caters to their interests, they are more likely to consume it better than what you offer via other channels. For example, Nuffield Health created custom landing pages to go along with the personalized emails. These landing pages offered the same content and nudged the reader in the same direction as the email copy. This email marketing tactic improved their conversion rate from 1% to 8%. Hence, the A/B test shows that customers respond well when offered a consistent experience across various points of contact with a business. The only way to convert the hyper-informed generation of today is to offer them relevant content that they can relate with. But with a hundred other online activities that they indulge in on a daily basis, it is important to be able to catch their attention and retain it until they consume the information you share. While most email marketing campaigns cater to some aspect of personalization, companies like Wigzo allow you to tailor your emails to suit the profile of every single customer. It enables marketers to make use of dynamic and interactive content in emails, making them more engaging and converting. Send dynamic content like product recommendations, the last browsed/searched products by the customer, etc in your weekly newsletter. Content that has recently interested the customer, when populated in emails is a sure shot way of getting more conversions. No one likes to read long blocks of text. Instead of trying to incorporate personalization in your emails via more text, use interactive content like videos, animated gifs, vines, etc. These type of content formats are known to increase customer engagement. According to this report by Statista, the number of smartphones users will exceed 2.8 billion worldwide by the year 2020. With a number of consumers reading emails on smartphones makes it essential for your emails to be mobile responsive so that the recipients are able to view them with minimum scrolling and zooming on their smartphones. One cannot exclude other smart devices such as tablets that come in an array of different screen sizes. It is important that your emails respond and cater to these screens of all sizes and render correctly on all devices. Otherwise, you’ll have to kiss customer engagement goodbye. AI for marketing automation is growing demand, to the point that global automated email marketing alone is expected to account for USD 2.7 billion by 2025. So, you see how the world is keeping pace with the technology leaving no chance for the marketers to lag behind. It is a good idea to use artificial intelligence for making email marketing strategies stronger and more personalized. Right from coming up with more effective content to predicting customer behavior AI marketing automation is taking growing in demand. AI is sure to grow in intelligence with time and thus making email marketing more effective and easier to execute for all businesses. Personalizations get customers engaged with your business and hence, enhances the results of your marketing efforts – especially email marketing efforts. It is also a marketing tactic that can be incorporated by all businesses. They just need to be able to identify and extract insightful customer data from their existing databases, and leverage from the same in their communication. Need your Emails to be Smart and Personalized? Book your demo now!